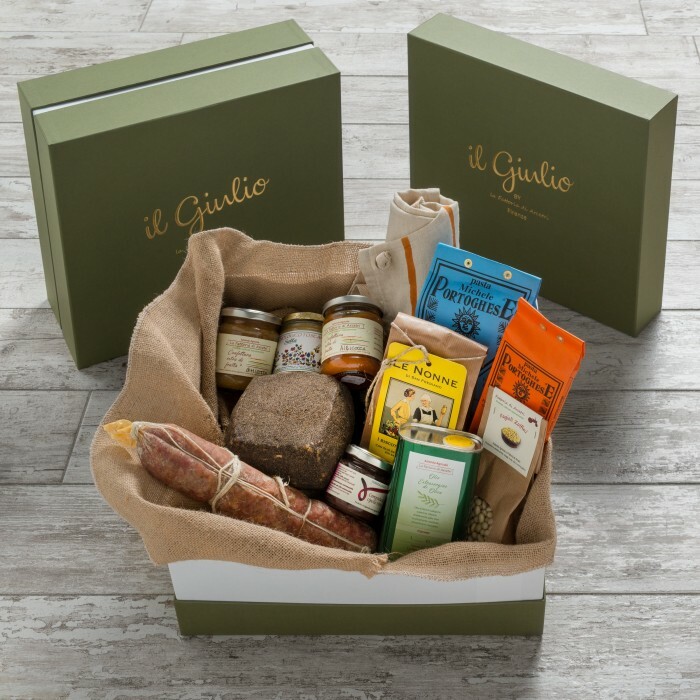 Enjoy an itinerary for foodies: beginning from the land of the Arcetri Farm, where Guido grows with the attentive care the superb “Zolfino bean”, you will discover each ingredient used by the most famous and prestigious Florentine star restaurants. As their chefs do, enhance your favorite recipes and choose exactly these ingredients. Surprise your guests with some original Tuscan ideas: how about a “zolfini beans and endive soup”? Or just serve them with shrimps and fish, it’s an ideal mix of flavors you will simply love. The fennel salami by Il Ponte Farm, with its soft consistency and its strong taste, can tell about the ancestral traditions of the Middle Ages, while the jams (try the apple and almonds one!) will let you dream about a different dimension, far away from the stressing life of the city, in which you could have breakfast in the open air, watching the sun rising upon the golden hills. Spaghetti and fusilli (made by Michele Portoghese) are dressed with sauces and seasonings slowly cooked, so to preserve every single note of flavor, the aged cheese (Az. Agricola I due Falcetti) is accompanied by French Honeysuckle Honey (Giovanni Viviani) and the onion compote (Az. Agr. Terre al Sole) in a delightful tasting. But before the end of the dinner, try these pure bites of pleasure. It’s the way we could define these Tuscan traditional biscuits (Nonne di San Frediano, Dolce Emporio). Wear the customized apron (Ratafià) and write your story in the kitchen, behind the stove. 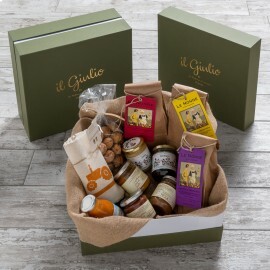 Buy or gift now the authentic Tuscan food specialties, live your “Starred “ sensual and enticing emotions. Everything is ready for your Tuscan party!